Loren and Lani Hart founded Admiralty Ltd. in 1981 to build two new sailboat designs to be called the Lord Nelson 35 and 41 (named after Great Britain’s most revered naval hero, Horatio Nelson). 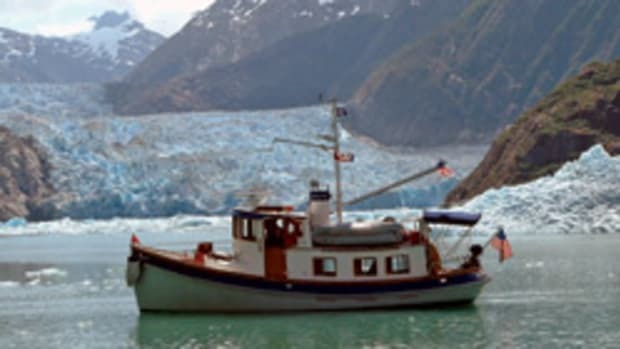 Two years later, the Harts had an idea for a powerboat, a single-engine trawler-style vessel with all the equipment and comforts required for long-range cruising. 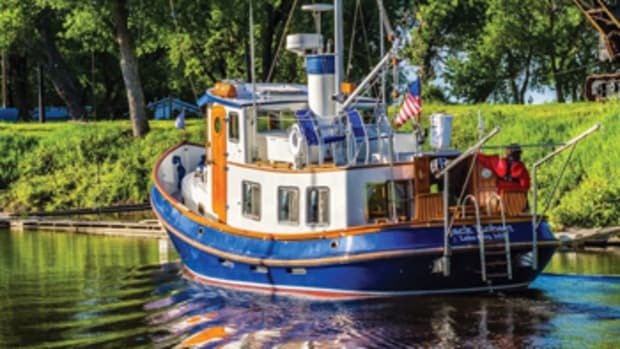 They went to veteran designer Jim Backus with the idea, and the result was the iconic Lord Nelson Victory Tug. 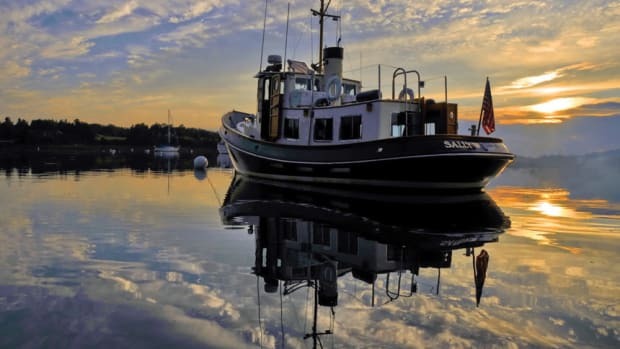 Backus drew inspiration from the harbor tugs of the 1950s. 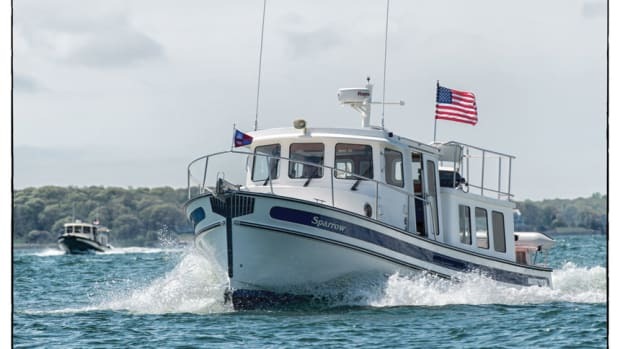 The 37-footer’s superstructure, tall bow and rounded stern gave it a workboat profile. The working mast carried a steadying sail, and the boom could be used for hoisting aboard a dinghy. 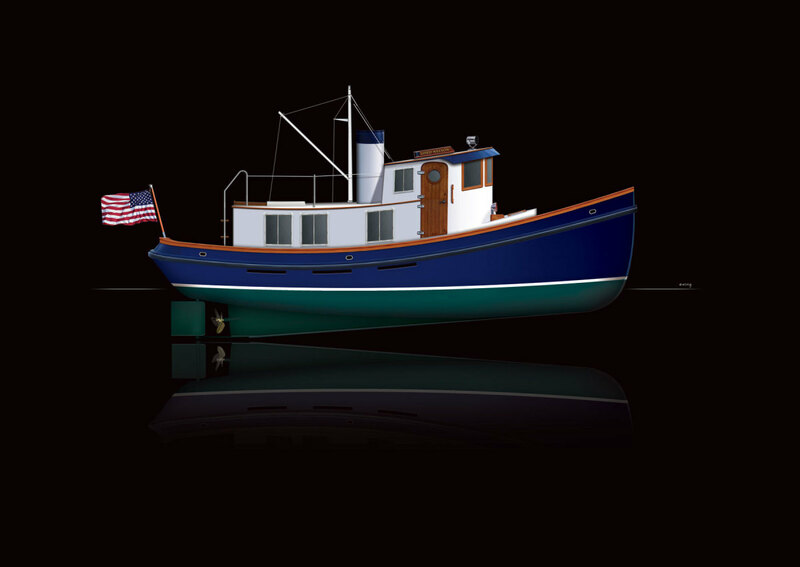 Powered by a single 150-hp diesel, the tug rode a full-displacement hull with a ballasted, full-length keel. 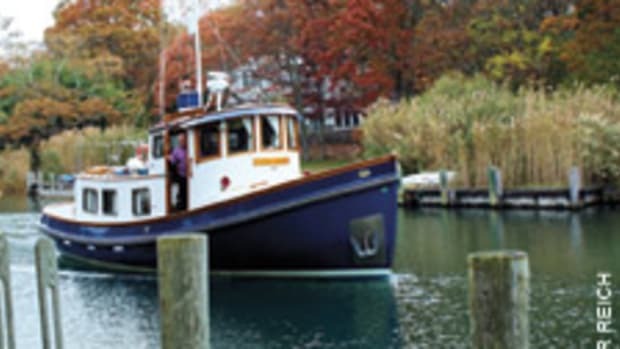 With its 250-gallon fuel supply, the Victory Tug had a cruising range of more than 1,000 miles at 7 to 8 knots. No expense was spared in outfitting the boats, which were built in Taiwan. Woodwork was cut from a single log for matching panels, valences, cabinetry and trim. 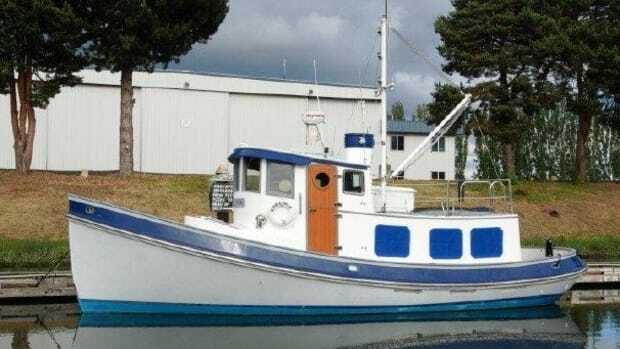 The Victory Tug was an expensive boat, with a $90,000 price tag. But it was — and remains — a compelling package. A total of 75 of the 37s were built during its eight-year production run. (There were also 41- and 49-foot versions.) Lord Nelson Victory Tugs ceased production in 1989, having built 86 boats. 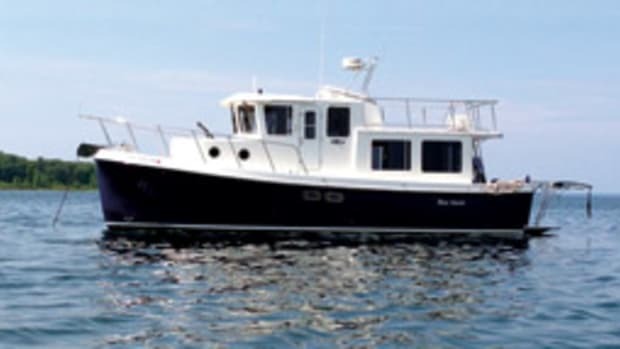 Today these cruisers have an active owners’ association and are much sought after on the used-boat market.